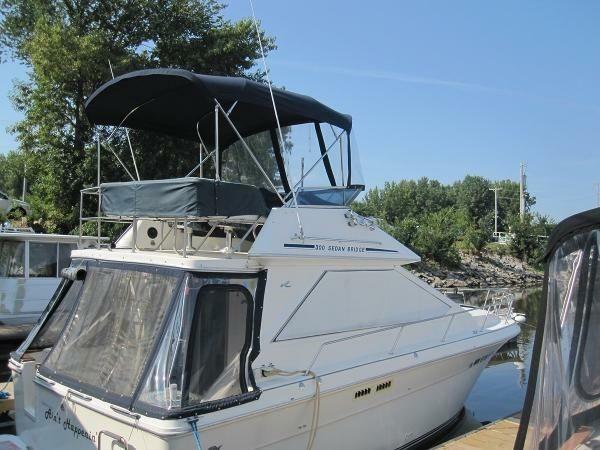 Very good looking and very well equipped Sea Ray 300 Sedan Bridge Powered by 7.4L MerCruiser Inboards. This compact flybridge is sure to impress, with a 12 foot beam this is one of the widest 30 foot boats built. 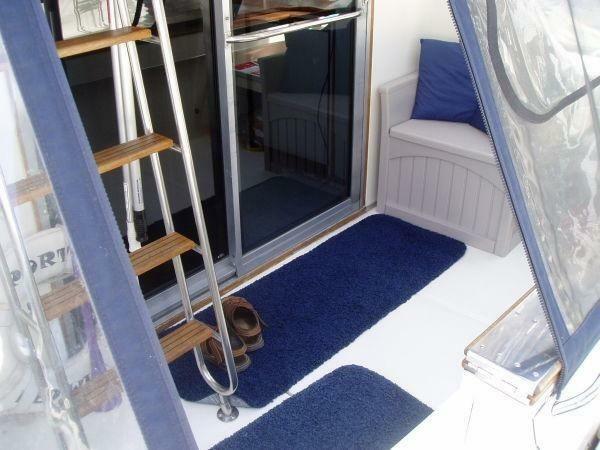 This beam gives the boat a very open feel, walking into the cabin the Large Windows bring in a lot of natural light and allow for great visibility to the outdoors! The Galley as you enter is a great design, with flip down covers over the sink and stove allowing for extensive counter space. The U Shape dinette is great for entertaining and the lower helm station can come in handy in poor weather. Working your way forward the two stateroom layout is very accommodating and both areas are very open, with nice headroom. The accommodations are great, match that with Air Conditioning/Heat, Generator, Vacu Flush Head, Bimini Top & GPS you have a well equipped 30 foot flybridge! 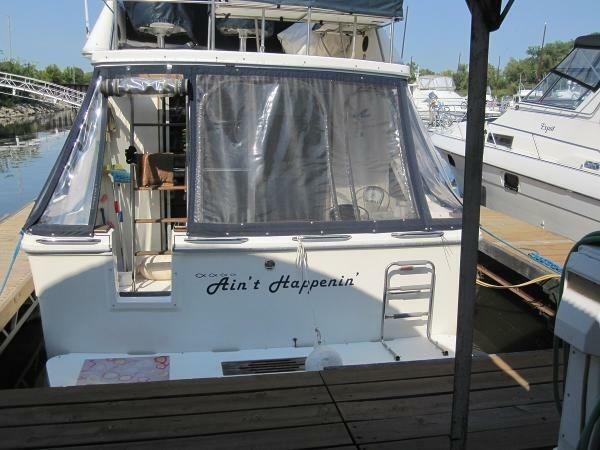 Overall this boat should surly impress Captain & Crew alike!